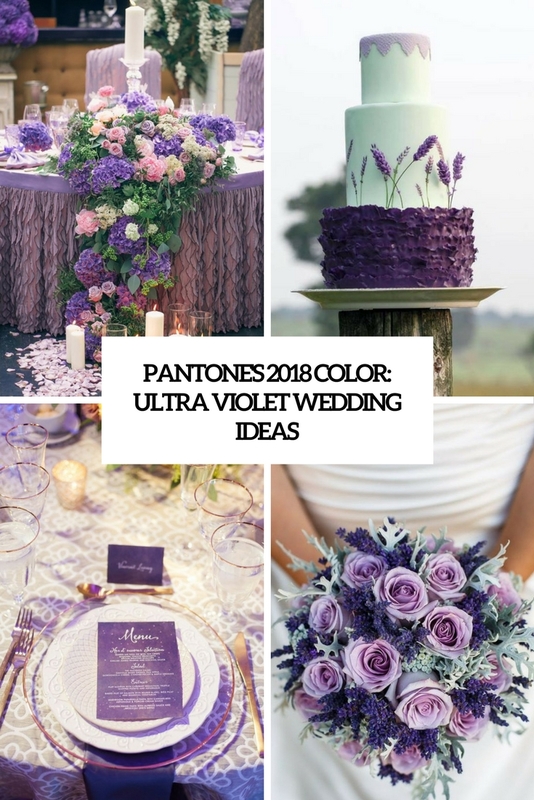 Pantone has just announced that the color of 2018 is ultra violet, and the couples who are getting ready for their wedding next year are probably interested in how to implement this color into their decor. 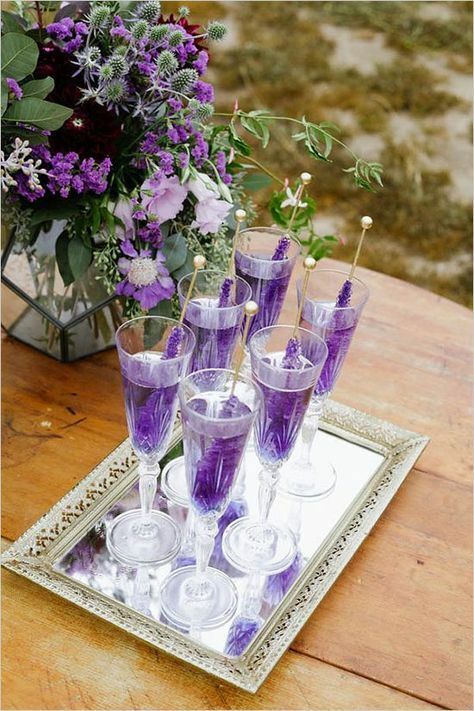 We’ve prepared some cool ideas to rock on your big day to make your wedding edgy and chic, let’s get started! 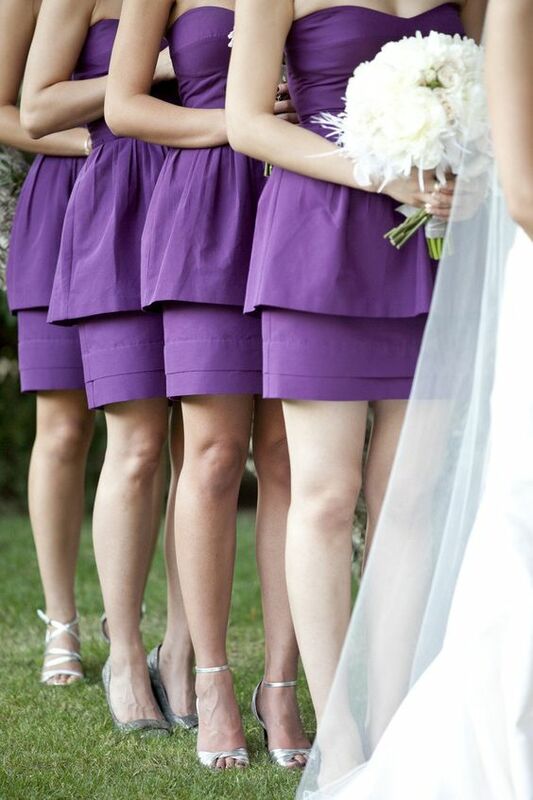 If you are a daring bride, why not rock a gorgeous ultra violet wedding dress? 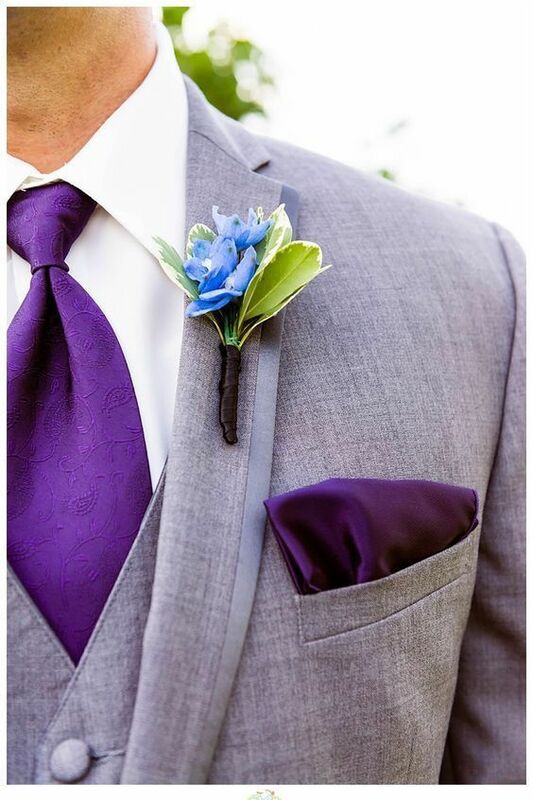 Whatever fabric you prefer, make it rather simple as the color is very bold and you will make a statement with it. 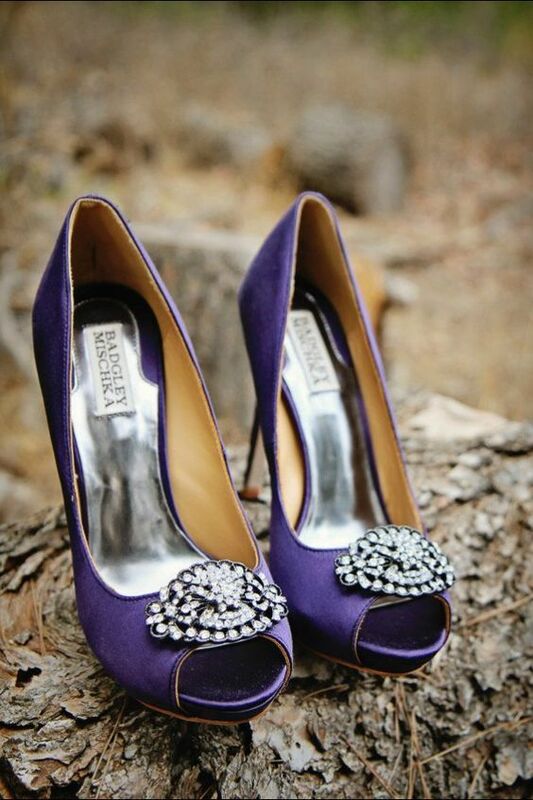 If you don’t want to rock such a dress, try ultra violet wedding shoes – modern designers offer a lot of models to choose from. 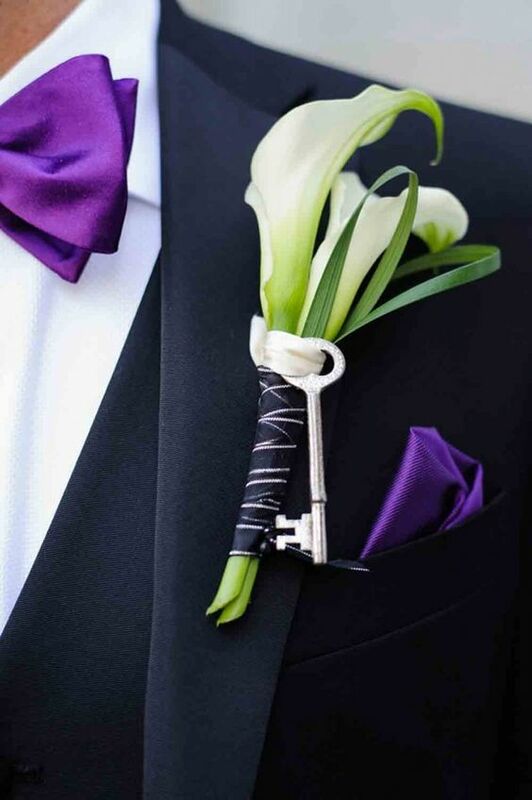 Your groom can rock an ultra violet tie or bow tie, and maybe a handkerchief or a matching boutonniere. 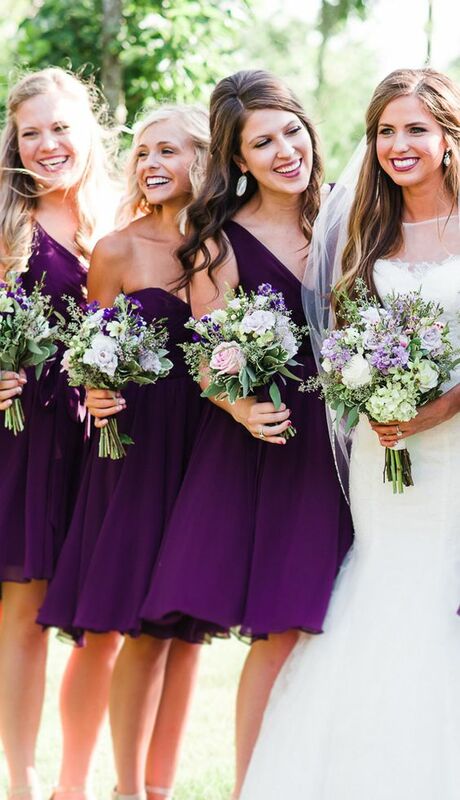 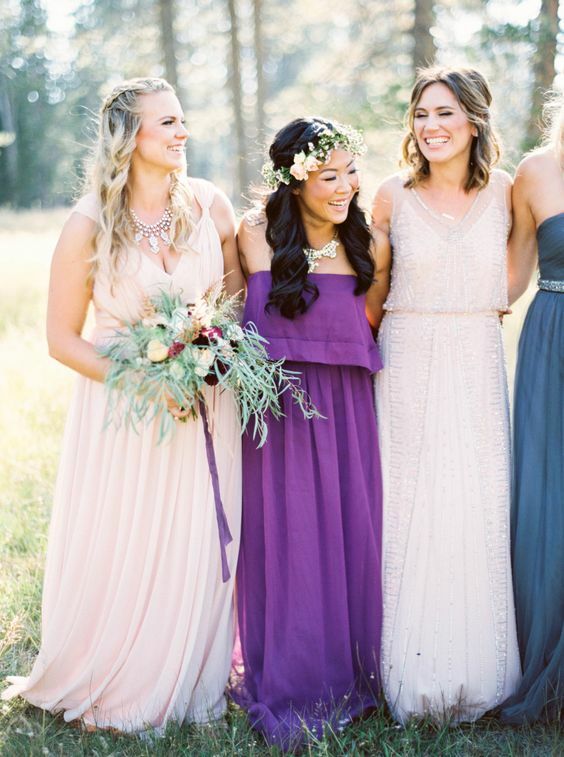 The bridesmaids can wear various ultra violet gowns, there are all kinds of lengths, silhouettes and looks, so your girls will be able to choose something beautiful. 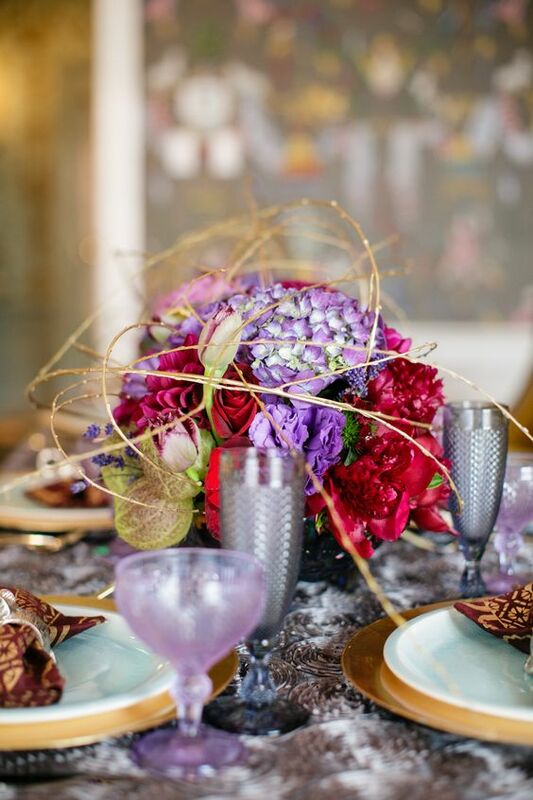 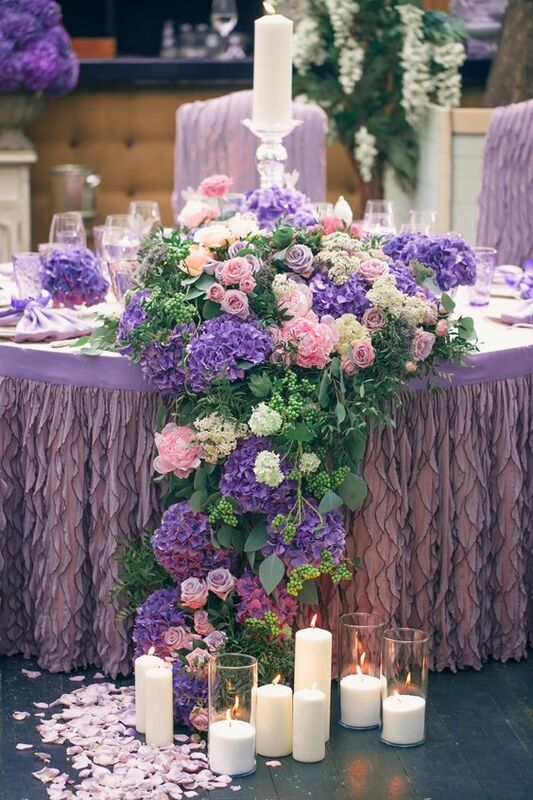 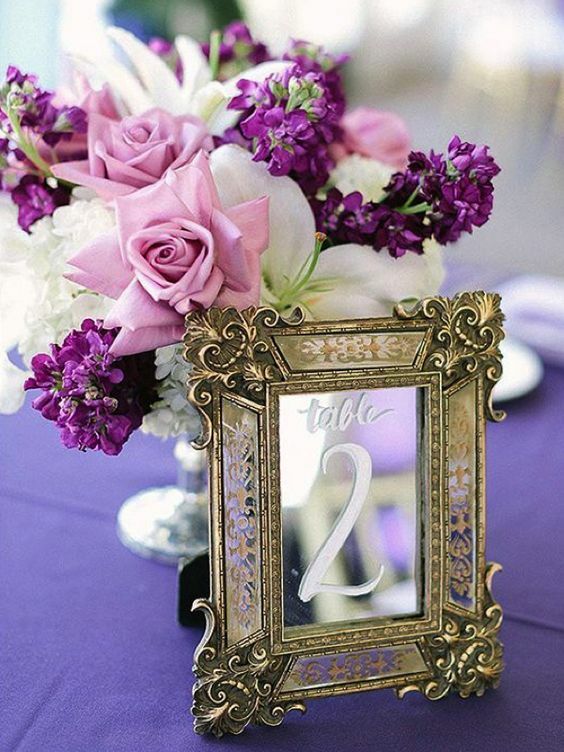 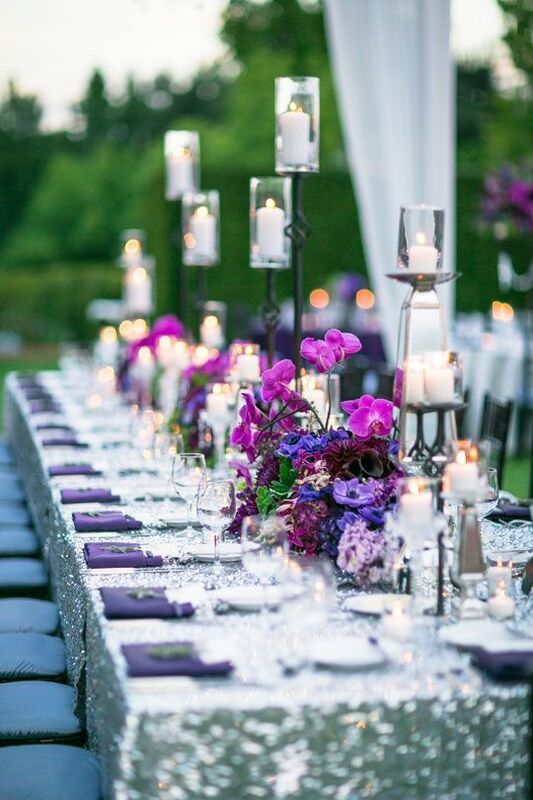 One of the easiest idea to incorporate ultra violet into your wedding decor while keeping it edgy and tasteful is rocking violet florals. 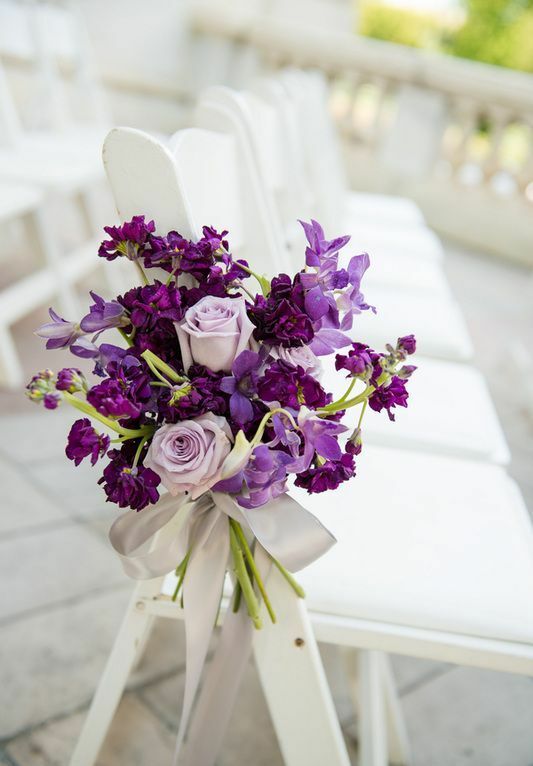 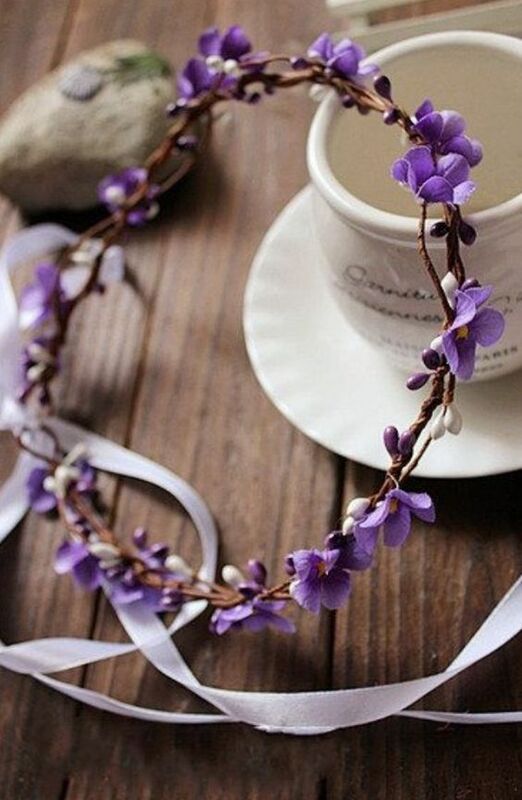 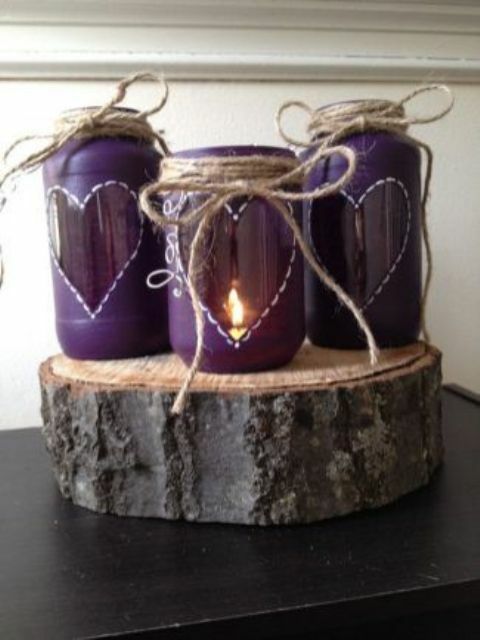 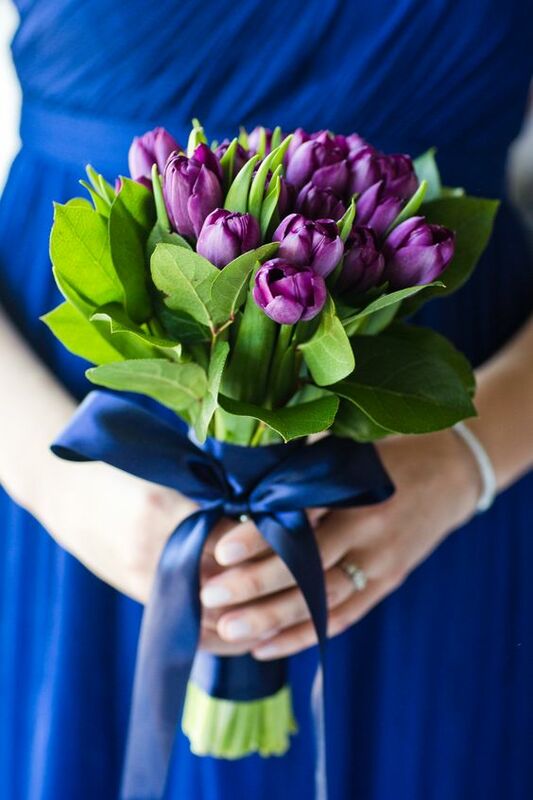 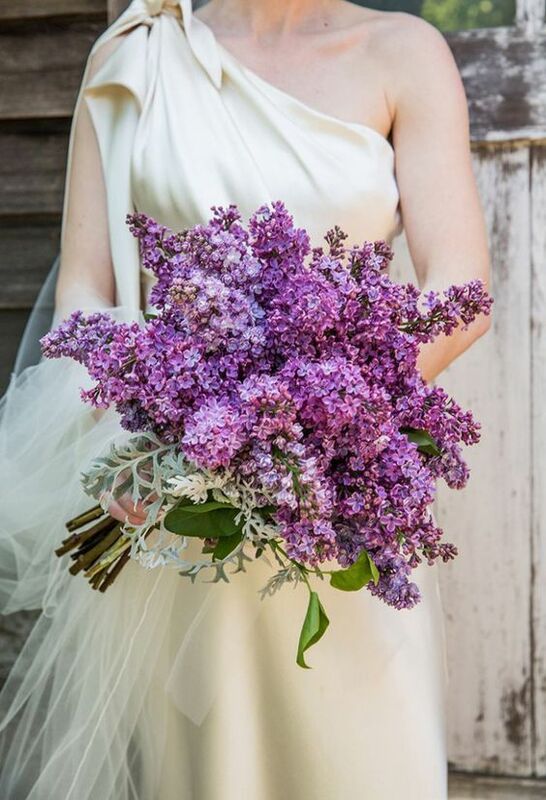 You can add them to your bouquets, centerpieces, floral crowns and other things, and violet is rather a compatible color that goes well with many other shades. 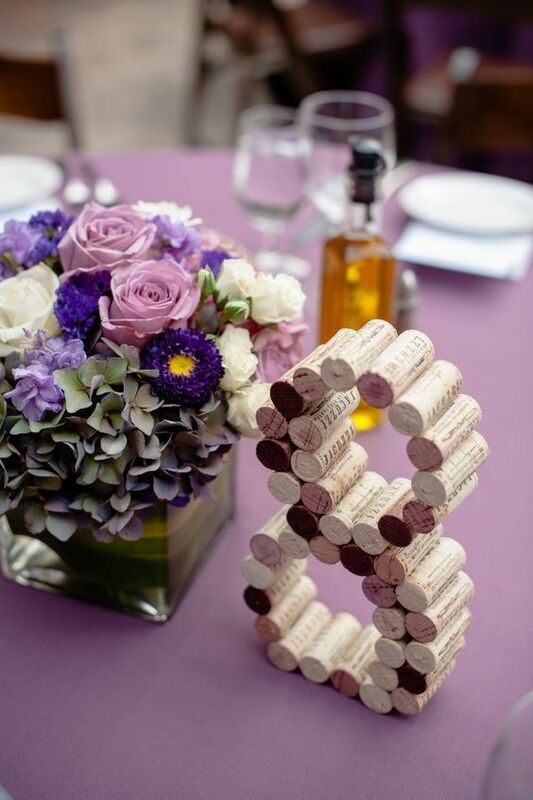 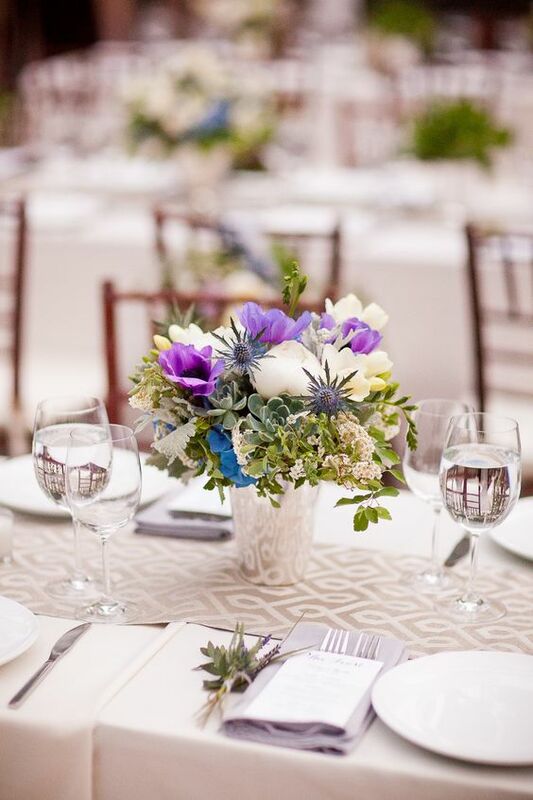 You can rock it separately, for example, a violet tulip bouquet, or rock such blooms with neutral ones to make your centerpieces more eye-catching. 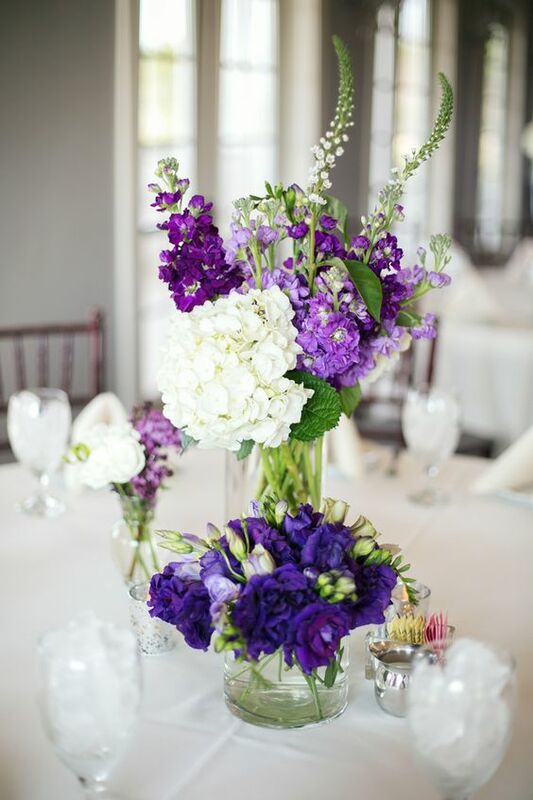 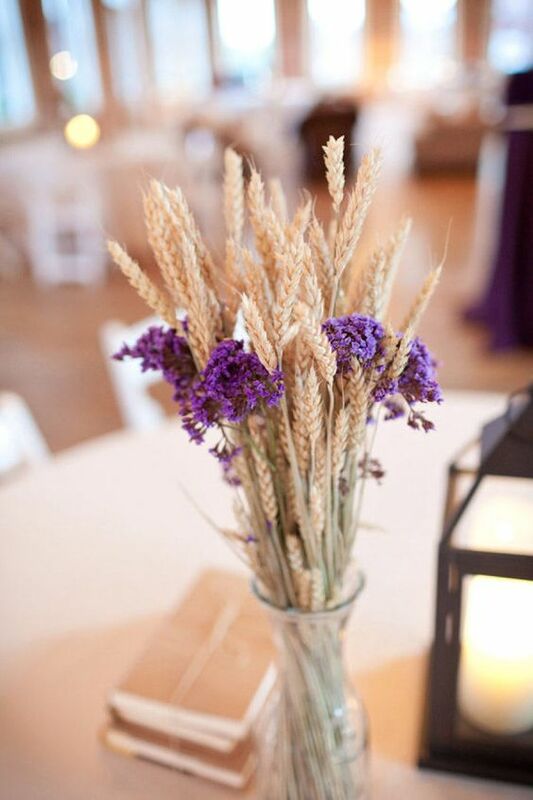 Make wheat and violet blooms centerpieces, try violet napkins, cards and tablecloths will be a bold and chic colorful statement for your wedding decor. 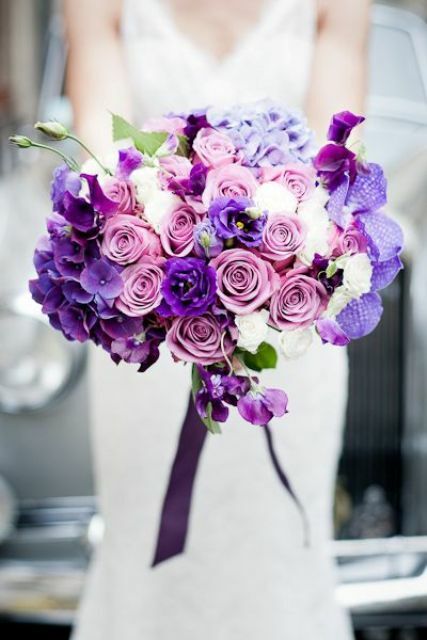 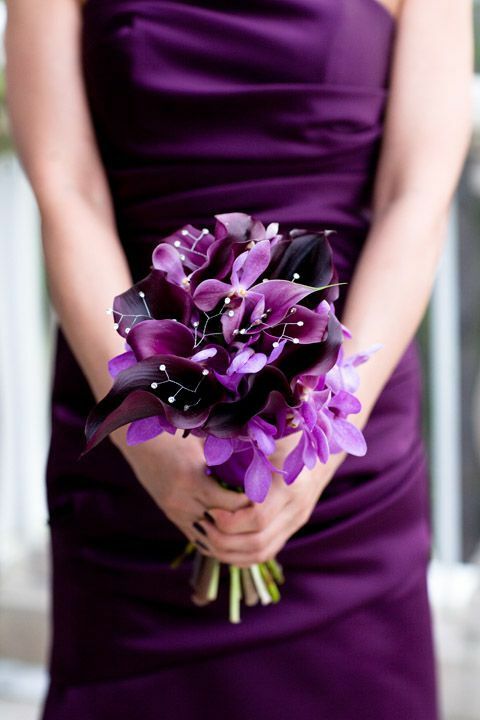 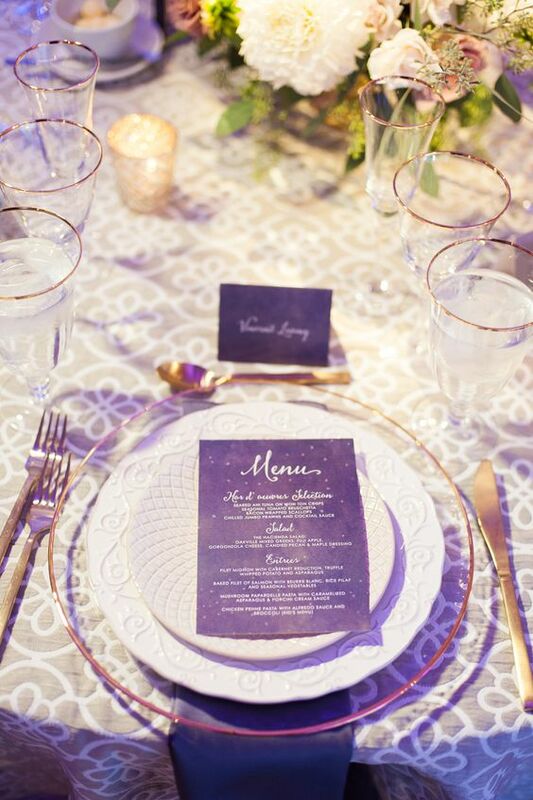 Don’t be too excessive with it, the color is pretty bold and you should find right combos for your wedding style. 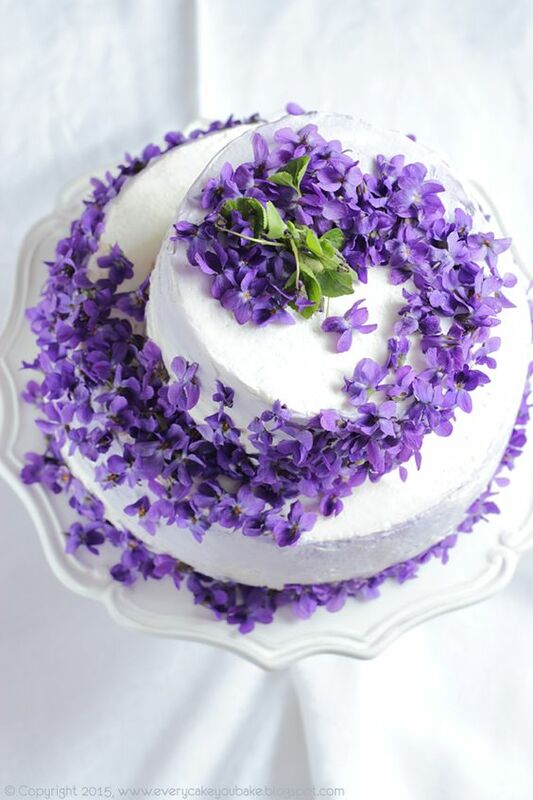 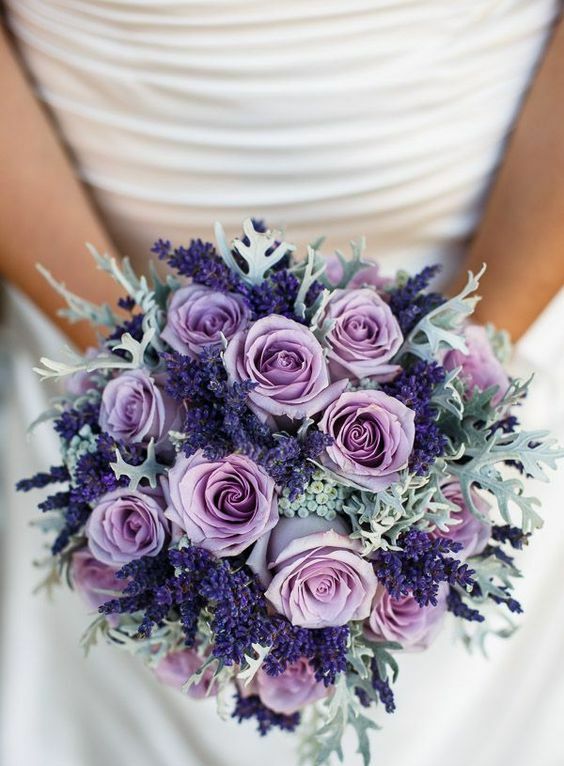 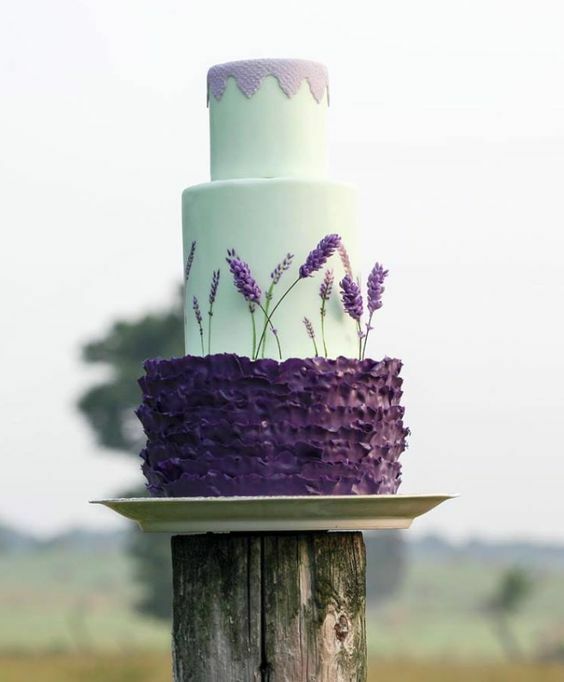 Decorate your wedding cake with violet blooms, or go for a whole cool violet ruffle layer with fresh lavender. 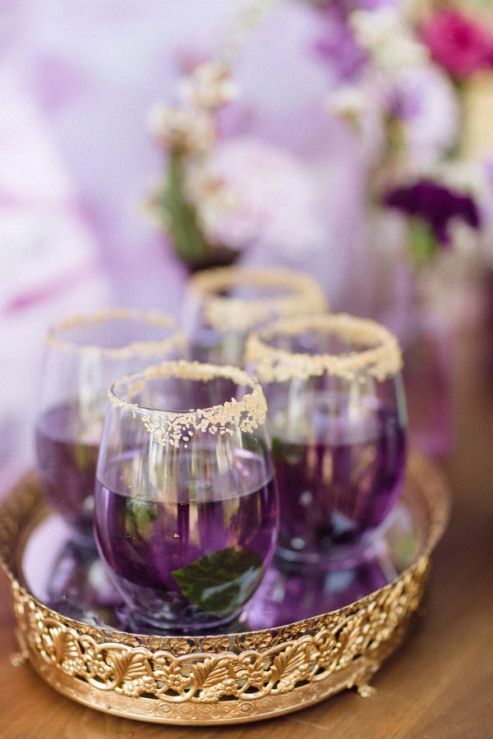 Make violet drinks your signature ones, add mint and a sparkle to the glass, and a very eye-catchy cocktail is done!